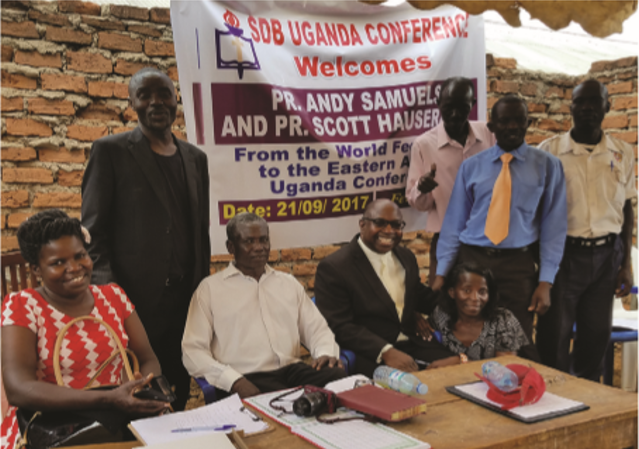 Last September, Pastor Andy Samuels and I visited some of our SDB congregations in Rwanda, Uganda, and Malawi. 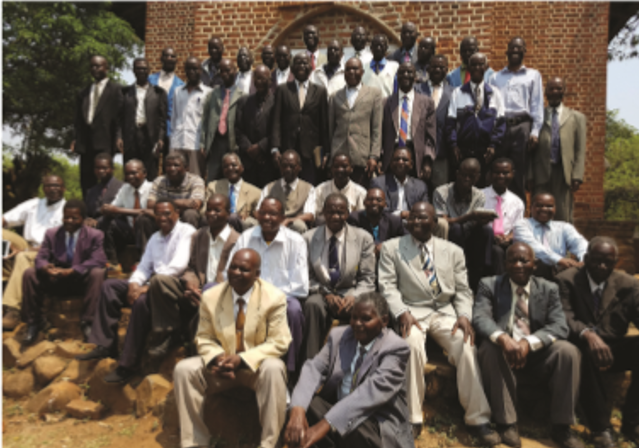 We had the privilege of working with many of their pastors. I’m unable to translate into just 500 words my entire experience there, so let me focus on just three words. The ﬁrst word is “Aware.” This was my ﬁrst time in Africa, so I was made aware of what day‐to‐day life is like for believers who don’t have the luxury of the religious freedoms that I take for granted in the United States. 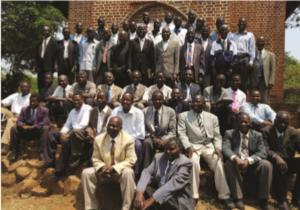 In Rwanda, for example, a number of our SDB congregations have been forced to close their church buildings until they meet newly implemented government regulations. These regulations are mandating prohibitively expensive physical improvements to their facilities in order to meet requirements for restrooms, paved parking, property size, etc. Our brothers and sisters there are still worshiping in their private homes, but this government demand has taken from them many outreach opportunities. The second word is “Ask.”I’ve been asking my Rwandan brothers and sisters how they are working through their new struggles. How have the new government regulations affected their daily worship and discipleship activities? 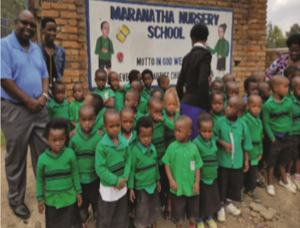 How have their outreach and other activities been impacted? I’m also starting to ask myself how I, and my fellow local believers, are going to respond if we continue to experience an erosion of religious freedoms in our country. What new governmental requirements or restrictions might be forced upon us? What daily adjustments might we need to make in order to accommodate these new requirements or restrictions? How much of a struggle would these adjustments be? What lessons would God have us learn through these struggles? 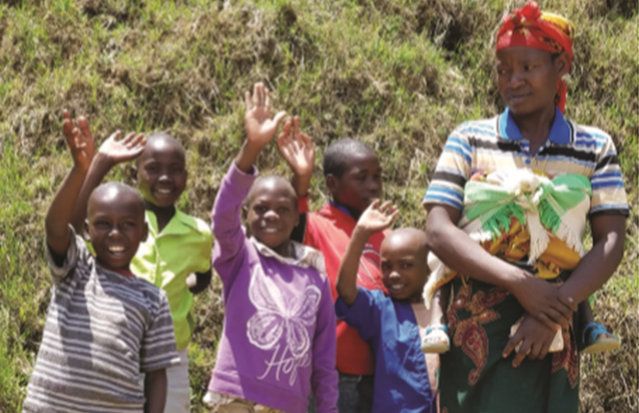 The third word is “Act.” What actions might I, and my fellow local believers, take so that we can partner with our Rwandan brothers and sisters as they work through their new struggles? How can we be praying for them, how can we be encouraging them, how can we be supporting them? I’m also thinking about what actions we might take in our own local situations, so we can be more prepared if some of our own freedoms or opportunities are removed from us. What can we do now, to ensure that our faith will remain strong later? All of these concerns and questions have come to me simply as the result of a two‐week trip to Africa. I encourage all of us to think seriously about partnering with our SDB Missionary Society in a short‐term mission experience, whether it be across the state, across the country, or across the globe. Trips like these raise our awareness, they help us to ask important questions, and they challenge us to actively share God and His truth with those who really need to hear.